Our traditional multi-discipline/event Sport’s Day was, once again, a huge success with the Green Team, for the fourth year in a row, running out as eventual winners (excuse the pun). We were lucky with the weather as, although the sun shone it had lost some of its ferocity compared to earlier in the week. 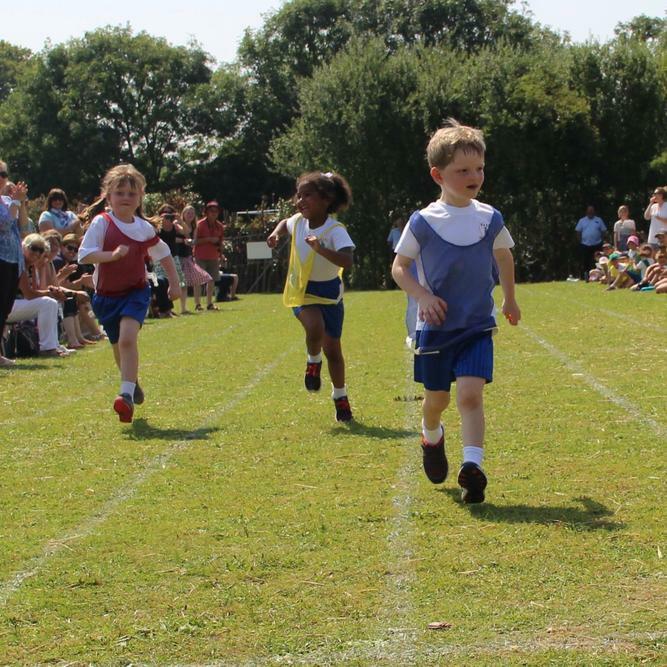 All of the children performed to the best of their abilities and gave it their all. 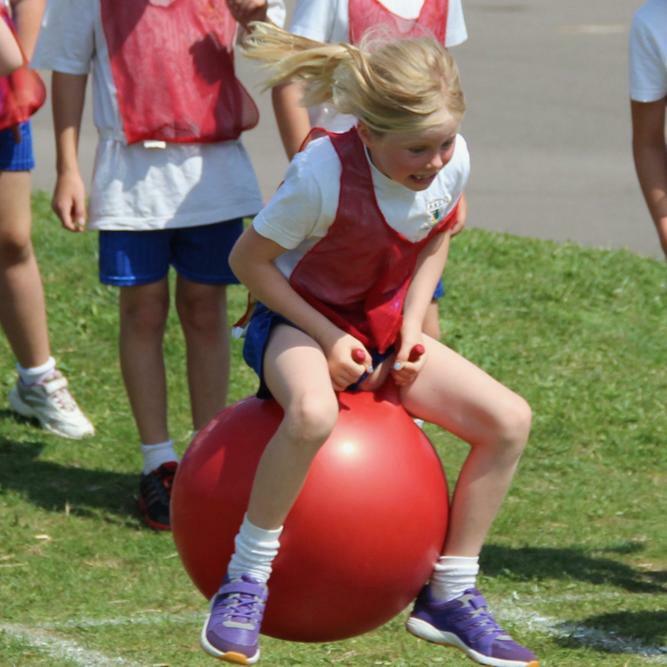 This year we introduced a number of new events including the basketball shoot-out and the howler throw. In the end, after ten events and one and a half hours of toil, it all came down to the colour relay with the Green Team somehow managing to turn a seven point deficit into an eight point winning margin. The final scores were: Red Team – 570, Blue Team – 563, Yellow Team – 585 and Green Team – 593. 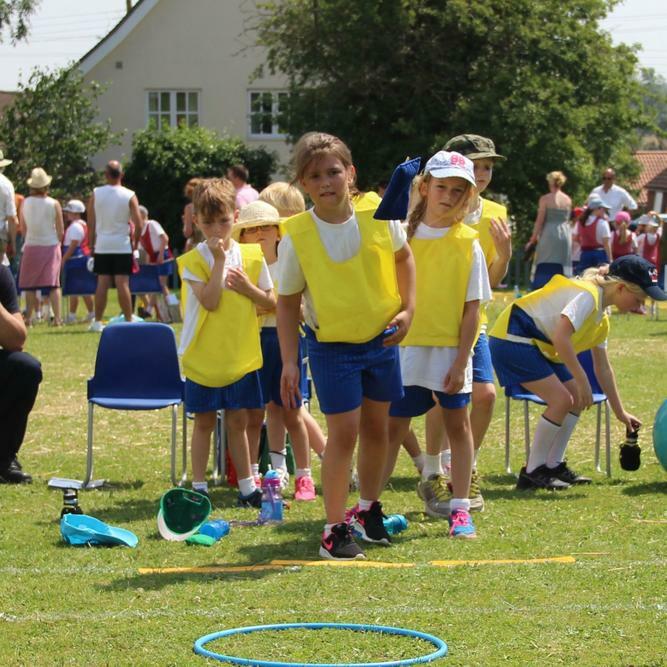 Well done to the Green Team but also well done to all of the children who just kept going regardless. I would like to give a special mention to those parents/relatives/past pupils and past staff who were prepared to give up an afternoon of their time to help supervise the various events as well as to all the spectators who help create the atmosphere that makes the afternoon. Thank you also to the PTA who, as ever, provided the children with cooling ice pops at the end of the afternoon.